Hispasat has started to operate ten WiFi points in the Colombian region of Montes de María in collaboration with the satellite services provider Bansat. 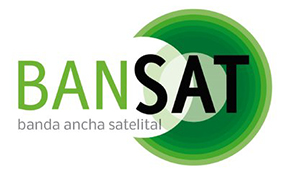 By implementing this pilot experience, the residents in the towns of San Andrés, San José del Playón and San Cayetano in the department of Bolívar; and of Sabanas de Pedro, Sabanas de Cali, Macajan, Flor del Monte, Chalan, Guami, and Libertad in the department of Sucre will be able to enjoy satellite connectivity services on their mobile devices by simply purchasing prepaid passes. The plan is to extend this pilot experience to ten more points soon and in the next months to spread the number of WiFi points to numerous towns in the country. This novel solution is part of the services managed by Hispasat, which provides the platform and capacity from its Hispasat 70W-1 satellite. Bansat, for its part, is in charge of installing the WiFi points in the most popular areas of these towns and providing the service from its operations centre in Bogotá to its local partners, who will market it to end users. The company has collaborated with Nexmachina to supply the devices to develop the prepaid pass management platform. Users can connect to the platform with passes that include different options for how much time, how much data and which type of applications they want to use for a very low price that is suitable for all budgets. Once the users have purchased the pass, they only need to connect their device to the Bansat WiFi network and enter the code that appears on each pass to connect to the global network. During the preliminary trials conducted in some of these towns, users accessed social network and traditional Internet browsing services the most. By implementing these WiFi points in rural areas, Hispasat and Bansat are bringing easy-to-use satellite connectivity to end customers, who do not need to worry about installing any device or filling out any paperwork beyond purchasing the pass. The prepaid pass system also allows users to tailor their use to their needs and budgets, without having to commit to a monthly payment. This service will help to further democratise access to the digital world so that everyone can have the opportunity to take advantage of the benefits that the Information Society offers. Bridging the digital divide is a highly important issue for Colombian society. According to Ministry of Information and Communications Technologies (MinTIC), the level of Internet penetration nationwide at the start of 2018 was 61 percent. Connecting the non-connected and achieving more egalitarian access to new information technologies directly contributes to decreasing social and economic inequalities between the large urban areas and less prosperous regions such as Montes de María, which during recent decades has suffered the consequences of the armed guerrilla conflicts and which today is at the tail end of the list in literacy rate in the country. Thanks to its easy deployment and universal coverage, satellites are the ideal telecommunications tool to bring connectivity to points such as this Caribbean region in Colombia, where implementing terrestrial infrastructures is not feasible due to its complex geography. Hispasat, which has had a subsidiary in Colombia since 2013, has contributed to promoting digital inclusion and development in the country for several years. In 2014, the company started providing satellite capacity as part of the government-run VIVE Digital project. Today, the company provides connectivity services in more than 700 points in Amazonas, Boyacá, Caldas, Cundinamarca, Guainía, Quindío, Risaralda and Vaupés. Hispasat's CCO, Ignacio Sanchis, said that thanks to the prepaid pass system and setting up these WiFi points, which will soon spread to other areas of Colombia, the company is taking one more step toward the goal of bringing the Internet and the information society to all Colombians, regardless of where they're located, thanks to satellites. Álvaro Sandoval, Director of new business development in Bansat, added that the company is onvinced that today, aside from being possible, it is imperative that business growth focuses its objectives on promoting sustainable development in a country, and what better tool than the benefits that the communications (ICT) sector provides in order to increase productivity, employment and the overall quality of life for the citizens that we connect to the world. Source: MinTIC, July 2018. https://colombiatic.mintic.gov.co/679/articles-75854_presentacion_cifras.pdf.